Lucky’s Market has been expanding all over Central Florida from their corporate headquarters in Wicot, CO and UP Orlando is fortunate to have a location open up across the street from our Michigan Street campus in the newly built Lucky’s Corner Shopping Center. Lucky’s has been one of our most involved Employer Partners, hiring eight of our Success Training Employment Program students for their new SoDo store. 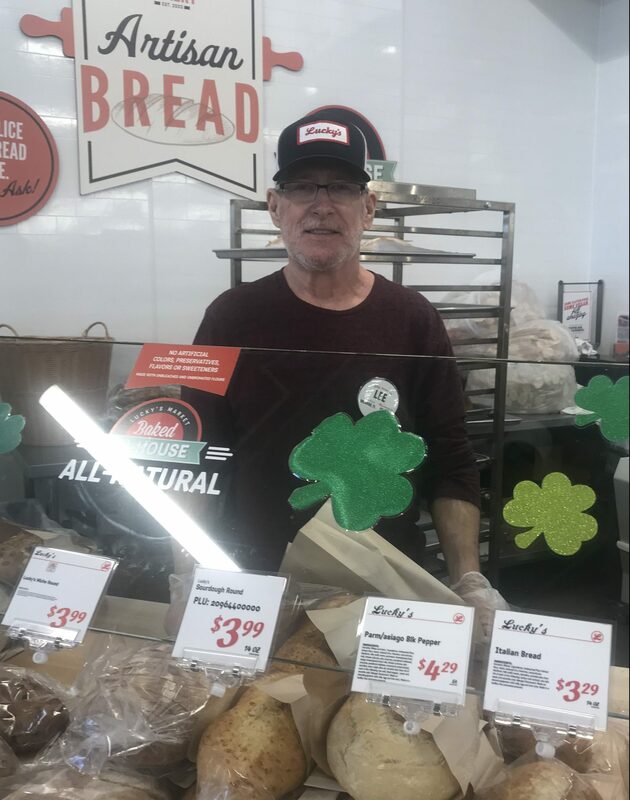 Our students are employed in the bakery (like Lee, right), in the produce department, and as cashiers among other positions in the store. We’re also excited to announce that Lucky’s SoDo has chosen United Against Poverty Orlando to be one of their Bags for Change partners, which will help raise much needed funds for more STEP student laptops and a laptop charging station. Anytime a Lucky’s shopper uses a reusable bag at checkout Lucky’s will provide a 10 cent wooden dime which can be placed in a donation box for United Against Poverty at the exit doors. At the end of the quarter Lucky’s will then match the donations made by the public to double the funds for the project being funded. Make sure you stop in to Lucky’s Market SoDo to support United Against Poverty before the end of the month!